What did students do over spring break? 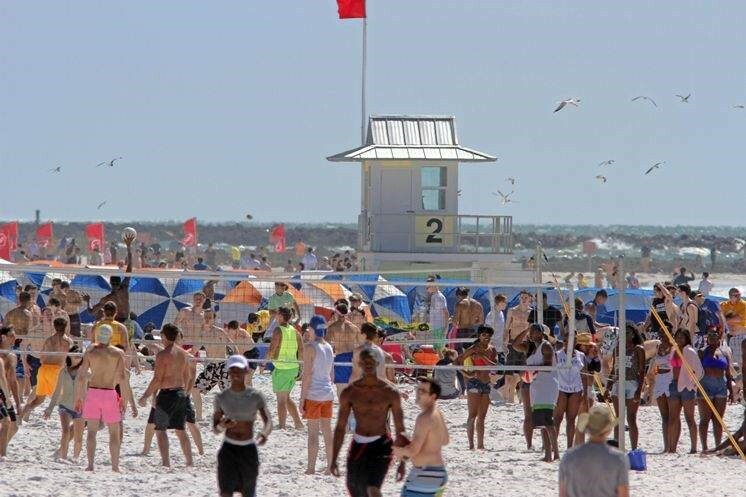 Clearwater Beach is jam packed with tourists and locals over spring break. It is the start of the last quarter, meaning spring break is over. Spring break is always one of the most popular breaks for going on vacation or going to the beaches. The small few weeks of winter we have ended, and it’s finally warm! Many students were super excited to head to the beach with all their friends. Many students look forward to different things when It comes to have a whole week of freedom. Some people look forward to having a week to relax, free of school work and stress while others look forward to having fun with friends and family, whether that’s on vacation or just hanging out around where they live. For seniors this spring break was their last break of high school before they walk across the stage and go on to whatever their future plans are. Cruises are a very popular spring break vacation choice. You get to see beautiful places with awesome beaches or adventures, with all you can eat food and fun. Many students went on cruises over this break. Senior Jasmine Kellogg goes on a cruise every March break. Jasmine says, “I love going snorkeling and all the other fun activities that are on cruises.” If you’re not cruising, there was so much to do around the Tampa Bay area. Clearwater Beach had a ton of traffic during spring break weeks. It can be a fun place to go and meet new people or just hang out on the beach. If you don’t like a busy beach with lots of teens, spring break is not the time to go to Clearwater Beach. It’s a fun time to go to Busch Gardens, Disney, or Universal. If you are a pass holder, March break is a great time to go ride the rides and see the animals. Spending the day at an amusement park can be a fun time. Sam Annis stayed here and says, “My friends from Ohio came down, and we hung out at the beach all week.” Everyone had different plans for spring break but most students all look forward to not being at school. Senior Haley Kravec says, “I worked all break to make as much money as I can.” She wants to save more money before she leave for college. Everyone can find something to do whether it’s stay home or go on vacation that they will enjoy.